A recent report states that 35% of the total global search traffic is organic and only 4% is inorganic. 70%-80% of the users who look for something via the search engines do not see the paid ads and only give their full attention to the organic search results. These statistics show how important it is for business owners to focus on organic SEO practices. For a small business owner, it might be a little difficult in the beginning to get organic traffic, but, using the right strategies and tips, you can achieve this easily. Yes, it is not easy to beat the big companies in your industry, but, you should understand that these companies take considerably longer time to make a change. You can use this time to upgrade your SEO strategies to take over some of their customer bases. Time is taken for loading– If your website takes more time to load, it will lead to a very bad user experience. Google does not like these type of websites and might refrain from giving your website a high rank. Robots.txt- You must check if any important URL is blocked by the robots.txt file and if the sitemap is mentioned by it. Sitemap- The sitemap of your website must portray the relevant data like the last date of modification. Also, the setting of the sitemap must be done correctly. Content is the king. Over 90% of businesses adopted content marketing in 2016. The top quality of assignment help is necessary for the academic service providers to flourish. In the same way, fresh content is the key to successful digital marketing. Every marketer understands the importance of content marketing to attract today’s consumers. Hence, you must invest in it largely if you wish to grow your organic traffic. However, it is essential to remember that writing any content will not do the work. You have to create outstanding content and be consistent with that. If you post low-quality content on your website, it can lead to creating a bad impression on the visitors. Search engines can easily detect if you are publishing poor-quality content on your website which is nothing but duplicates of that of the others. With great content, your website will rank higher which will result in more organic traffic. Your work does not end with creating and posting the content. You will also have to track the performance of the content and if you found more bounce rate, its time for you to change the content. Search for the competitors in your industry who have a better ranking than you. Analyze what they are doing to get that ranking. The best way to do this is to use some tools. 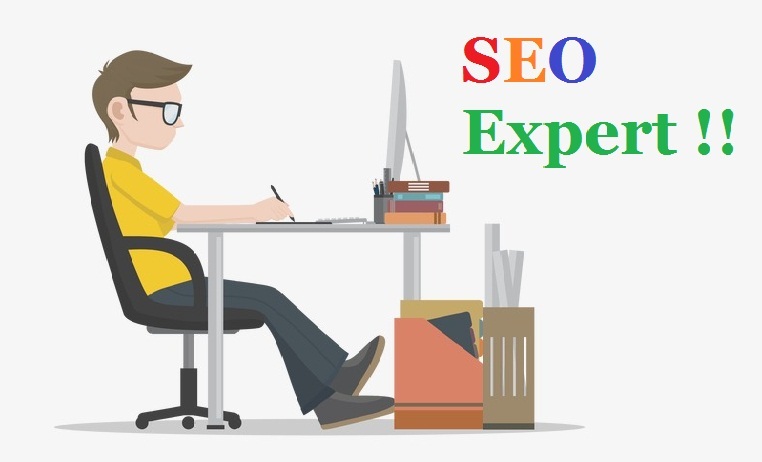 Through these tools, you should see the number of pages they have indexed, their backlink profile’s quality, the structure of their website, and other such reasons behind their ranking. You should also look for their weak points like, if they have missed any important keyword that you can use, etc. If you can find out the areas where they lack and make your website strong, you will be able to get more organic traffic. It is seen that blogging largely helps to increase organic traffic. Statistics show that people spend 23% of their internet time on social networks and blogs and 77% of the people who use the internet read blogs. 60% of businesses have their own company blogs. Thus, you must make sure that your website has its own blogs. This will help you to build a huge collection of valuable and user-focused content on your website. This will assist in bringing more visitors who will also go deep into your website. Having good content on the website will also increase the chances of it being shared, which in turn, will bring in more organic traffic. According to Backlinko, adding images and new content in your old blogs and publishing them again can help to boost organic traffic by 111%. You can add more or update the content of your blog, change the title, including an image in the blogs before republishing it. If you have a strong blog from the past which helped you to rank, you can use this strategy to attract more visitors to your site. You can start creating original articles for popular sites. This will help you to reach out to a broader audience and drive them to your website with the use of a link to your site. Guest blogging gives you more exposure and more attention from potential customers. However, the key to success in guest blogging is in writing great content. If readers are not impressed, they will never click on the link to your website. If you cannot find the correct keyword, you can never reach the target audience for your product/service. Similarly, if a consumer is searching for a specific keyword, which it is not present in your content, the individual can never reach your website. How can you find out the right keywords? You can either brainstorm it or use special tools for it. For example, if you provide assistance with essay writing, a relevant keyword will be essay help. Another way to lead them is to type a keyword in the search bar. By doing this, you will get to see a number of suggestions. From there, you can select the ones which are the most relevant to your business. Thus, you will get a list of keywords. Now, you will need to identify and consider the keywords that the consumers might use to search for the service that you provide. Nearly half of the population of the world is on any social media site. The social media pages of 43% online stores have helped them to get huge traffic. Hence, using social media can be a great way to attract visitors to your site. To do this, you can post engaging content on your social media page including your website’s link. Thus, the number of organic visitors will increase on your website. Today, most users or consumers search for services or products through their mobile phone. Mobile phone drives 60% of the online traffic. Hence, you must ensure that your website can be used easily from any device like the smartphone, tablets, etc. By making your website mobile-friendly, you can ensure that those organic visitors can get to your site easily. The only way to increase your organic traffic is to provide the users what they want, i.e., value, quality, and useful information. You will have to constantly use the above-mentioned methods to get the results. After all, only with hard work can you get the best things in life.